BACK ON THE MARKET! This elegant Vineyards of Silver Oak residence will delight the most discerning buyers. 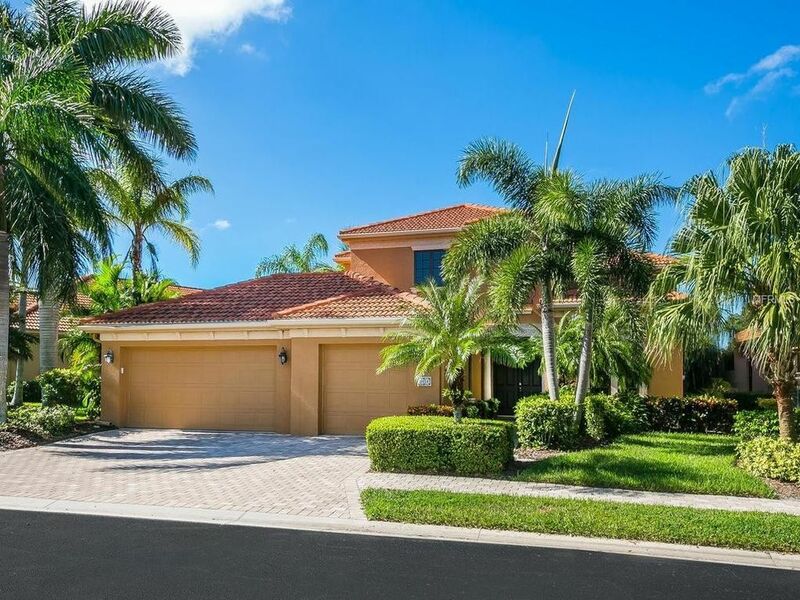 This custom-built Gibraltar home features dual door entry, open lake views, expansive floor plan, soaring tray ceilings & oversized tile. A true cook's kitchen boasts custom wood cabinets, stunning granite counters, convenient breakfast bar, granite island, gas cooktop, dual convection ovens, high-end appliances & tall cabinet pantry. This original owner spared no expense with the custom finished carpentry and woodworking that can be found in the kitchen surround, family room, den and library built in that add the sophistication that this home deserves. The 1st-floor master suite features a lovely lake view, volume ceilings, library shelving & a huge walk-in closet. Enjoy the sumptuous bathroom with private steam shower, Jacuzzi tub & separate shower. 3-4 bedrooms and 3 full baths are custom finished with 2 upstairs adjoined by a family and screened & covered balcony with more water views. Den/Office is currently being used as a 4th bedroom. Find the hidden safe room! Enjoy the expansive screened lanai which boasts a new summer kitchen, sparkling fountain & heated spa & serene lake views. Located within steps of the community clubhouse, pool & fitness. Silver Oak is an exclusive 24-hour-guard-gated community located in the heart of Palmer Ranch. So close to our world-famous Siesta Key Beach, the Legacy Bike Trail, YMCA, restaurants, downtown Sarasota's Theater District & more!